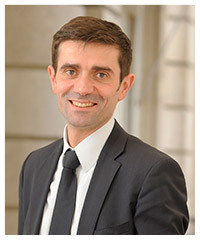 Lawyer and member of the Bar of Paris since 2003, a partner and founder of the Firm, Jérôme Rochelet holds a degree from the Paris XII University where he followed a complete private and business law degree course and obtained a Master in private law. He also holds a Master II in business law; he graduated in first place. A legal research enthusiast, from 2000 to 2004 he was charged with teaching the law of obligations, commercial law and special contract law in the capacity of teacher and researcher. At the same time as his University position, Jérôme took charge of developing databases in corporate law, banking and sureties' law, and law on companies in difficulties for the leading online legal publisher from 1999 to 2001. Jérôme worked as senior associate until 2007 and then became a partner in 2010 of a legal business consulting firm based in Paris where he was in charge of the corporate law and property law department. In 2010 he founded the LIGNER & ROCHELET Firm.